Walkman was a brand that represents a generation if you can recall the happiest moment of the day listening to your favorite music before going to the bed without disturbing your parents. It was a series of products which lived along throughout our early days. Unfortunately, even though Sony expanded their portfolio of music players starting from Cassette players to CD players, MD players and furthermore to digital media players of these days, the love towards the brand has faded. Nevertheless, some of us still love to collect CDs or LPs although digital contents have monopolized the music consumption means. For this reason we tried to reimagine Walkman products to bring them into the era we live in also as an homage to the timeless brand. This monolith black block with proportional composition is a reinterpretation of the original Walkman. Main volume is for the Cassette, right for touch control, and upper for earbuds. Wireless earbuds can be stored and charged in the upper block. 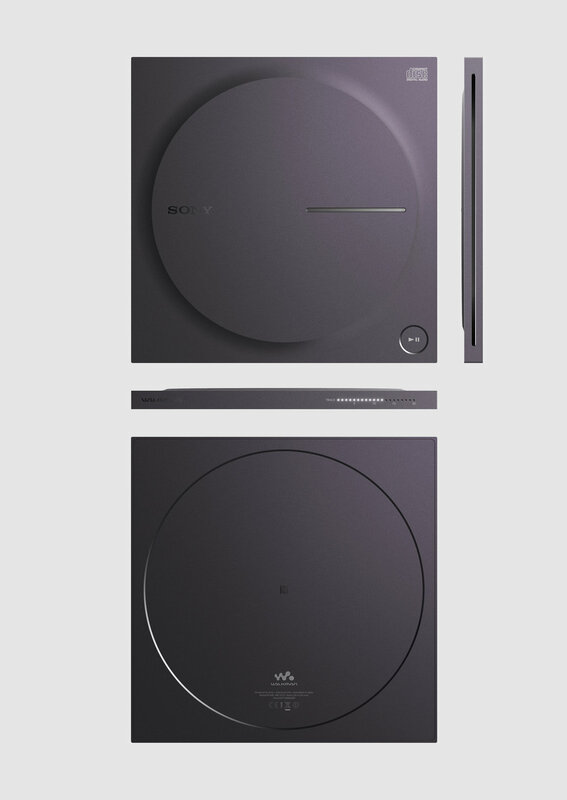 Milled block of aluminum with a protruded disc profile is an homage to Sony Discman D-2. 20 LEDs light up to show the track number. Earbuds are magnetic for compact carry. Wireless earbuds with a detachable band for secure listening. Control volume and switch track simply by touching the outer surface of right and left earbuds. A short tab on the right earbud will increase volume and a long touch will play the next track. Do the same on the left, it will obviously decrease volume and play previous track. Published on 23rd of October, 2016.